This is the summer of great performances of Schubert. At the Festival of the Sound in Parry Sound, Ontario, we heard two of the major string quartets. The Trout and a selection of Lieder. During two weekends this month at Bard College chamber, symphonic and choral works are being presented as well as Die Winterreise. 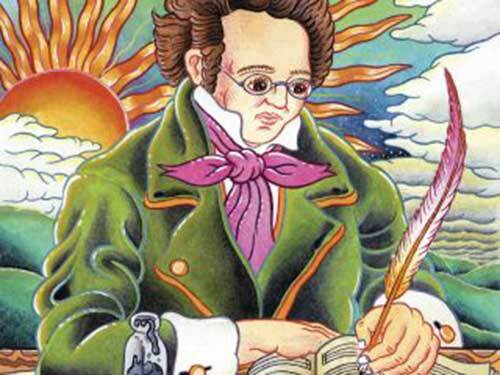 “…Schubert is in many ways the most unfathomable of the great composers. We know more about him than about, say, Bach. Yet, while we summon a rough idea of Bach’s personality – blunt, cantankerous, at once earthy and devout – Schubert elude­­­­­­­s capture. “Modern scholars have discarded the Romantic picture of Schubert as the innocent tunesmith, but agree on little else. Was he a dissipated merrymaker? A solitary depressive? Gay, straight, or none of the above? Did his highest ambitions lie in opera, symphony, chamber music or art song? It seems as though Schubert, who died at thirty-one, departed before his character was fully formed. …You might think the whole idea of “ruin” is impossible to apply to music. Ruins embody a feeling of vast tracts of time. We look at the weed-infested, crumbling remnants of a castle or abbey, and compare them in our imagination with their original pristine state. Sounds can’t stir those kinds of feelings. They only exist in the present tense. But note this: the great romantic composer Robert Schumann actually gave one of his greatest pieces the title of Ruins. Admittedly he thought better of it, and called the piece Fantasie in C instead, but it suggests the idea of conjuring up the pathos of ruins was on his mind. How can one do this, in a medium that can’t decay? Of course there are pieces of music which are literal ruins, in the sense that there are bits missing or lost. The catalogue of the great romantic composer Franz Liszt is littered with unfinished pieces. Mozart’s Requiem was finished by another hand, and the ghostly presence of what it might have been adds to the grandeur of the piece. The same is true of Schubert’s Unfinished Symphony. These pieces are imaginary ruins, if you like. More striking is Bach’s Art of Fugue, which he didn’t live to complete. The last fugue literally stops mid-bar, leaving one part hanging. You might ask why composers would do such an odd thing, and one straightforward answer is: to keep people listening. It’s been a common trick in pop music every since A Hard Day’s Night to keep the listeners hanging on for the next track on an album, by fading out a song rather than ending it. Jazz musicians do something similar, by ending a piece on a surprising harmony. It’s a hammy device, because these non-endings are so obviously tacked on to something that could end perfectly normally. The really interesting cases are the pieces that can’t do that. They’ve been cunningly designed to float in a state of uncertainty, or go round in circles. Once a piece of music has dithered long enough, the idea of a neat, rounded-off ending becomes impossible in principle. By the same token, these pieces never really get going. They start with a gesture that sounds like an introduction, but the music never gets beyond it. Schumann was a master of this effect. The first song in Dichterliebe circles round on itself, and at the end we’re left hanging. In the first movement of the piece he nearly called Ruins, Schumann does something different: he takes a famous song by Beethoven and keeps nearly quoting one phrase from it. It sounds as if the music is trying to remember something, and can’t quite manage it. All this preparation means that when the phrase is finally remembered, right at the end, it’s become supercharged with feeling. It sounds as if it’s coming from somewhere way back in the past, shining mysteriously like a decayed church caught in the setting sun. For a few seconds we see a noble ruin in music. That was nearly 200 years ago. 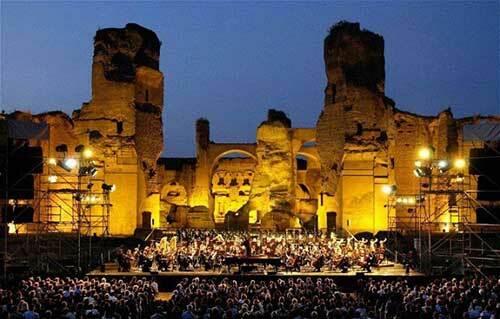 In more recent times, the Italian composer Luciano Berio has found a different way of suggesting ruins in music. He based his piece Rendering on the fragmentary score of an uncompleted early symphony by Schubert. He left the score intact and filled in the gaps in his own style, but used bits of Schubert’s melodic material. The effect is weirdly haunting.